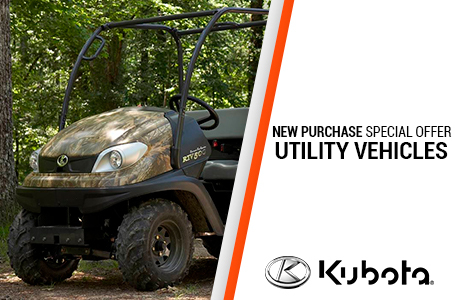 Price includes a $200 cash rebate - Kubota 0% financing available. 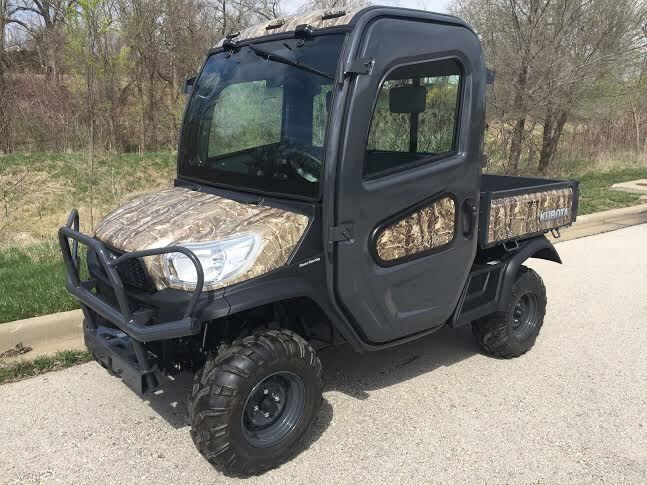 Premium Grand Cab: Whether it’s hot and humid, cold and windy, or raining cats and dogs, you’ll stay dry and comfortable inside the RTV-X1100C’s quiet and luxurious air- conditioned and heated cab. 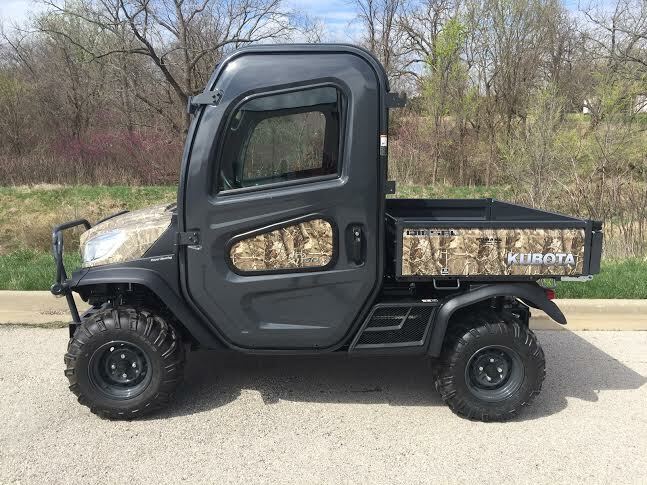 Built around a unibody frame that is virtually airtight, soundproof, and rattle-free, the cab incorporates highly efficient air-conditioning, heating, and defogging functions, as well as antennas and speakers for an optional radio. Factory Air Conditioner, Heater and Defroster: Hot or cold, rain or shine, the temperature inside can always be just right for you. The air conditioner, defroster, and heater system are powerful, efficient, and standard equipment on the RTV-X1100C. Fully-opening roll-down windows in doors: When the weather is nice, just roll down the fully opening windows. This truly is the best all-weather, all-comfort, all-the-time driving environment you’ll ever experience on the trail. 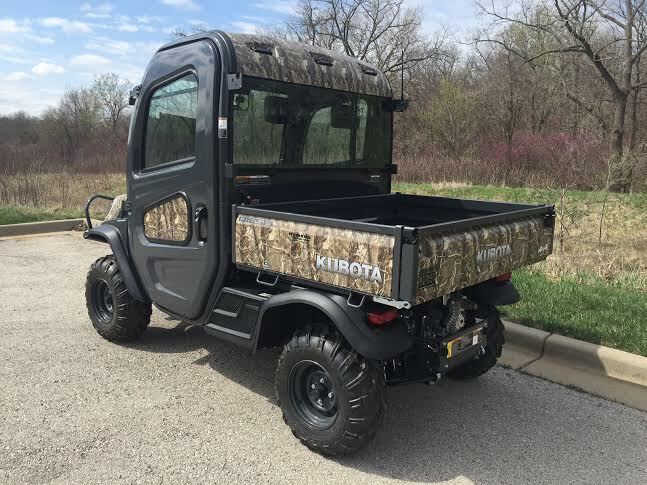 Unibody Cab & Chassis Frame (meets OSHA & SAE ROPS standards): You’ll enjoy a smoother, quieter, more comfortable ride, thanks to the RTV-X1100C’s integrated unibody cab and chassis frame. They form a rigid yet lightweight unit that is rugged, airtight, low noise, and rattle-free. 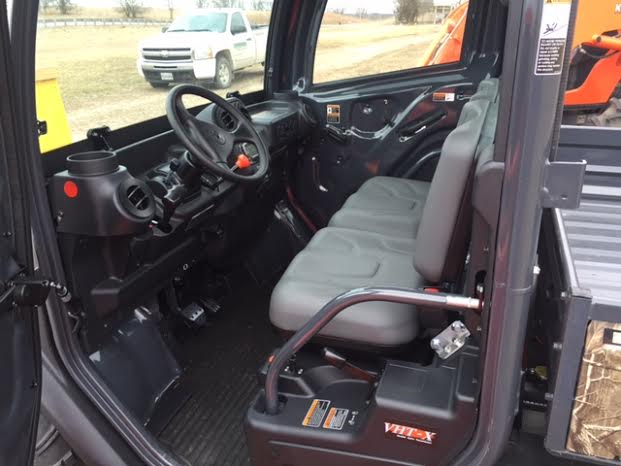 Even more impressive, the cab meets SAE J2194 and OSHA 1928 ROPS standards. 24.8 hp Kubota Diesel Engine: Power when and where you need it. Even when the trail disappears, you can rely on the RTV-X1100 powerful 24.8 HP diesel engines to keep you moving forward. Kubota-built and trail-proven, these 3-cylinder liquid-cooled diesel engines have a well-earned reputation for dependable performance even in the harshest terrains. The RTV-X1100 comes with a robust 24.8 HP engine. Hydraulic Power Steering: Responsive hydrostatic power steering gives you the control you need to tame any terrain. The steering wheel is tilt-adjustable, allowing you to set the optimum angle for your driving style.